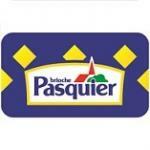 Brioche Pasquier are an established French family bakery that has made bakery products for over four decades. It all started in 1936 with Gabriel Pasquier in a small village bakery in the West of France. In 1974, his five sons began building the family business into ‘Brioche Pasquier’. The brand can now be found across three continents and offers a wide range of brioche, biscotte and patisserie products. Brioche Pasquier prides itself on the authenticity and the care that goes into their products, with their brioche recipe being free from preservatives, additives and hydrogenated fats whilst also using the original sourdough from Gabriel’s recipe.